Sacrewell got back to basics with a group of children from Kings Cliffe and Nassington recently, when they came along to do a den building activity. 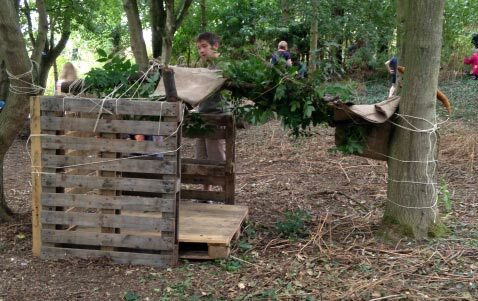 Using materials they could find in our woodland, pallets, sacking and a lot of string, the group aged between six and 11 from youth club Underground, spent one-and-a-hours designing and building their own woodland retreats. We think they did a fantastic job.